Over the years, Gotham city’s citizens have seen an uncountable number of villains terrorize their streets, but all have been defeated by Bruce Wayne’s alter ego, Batman. 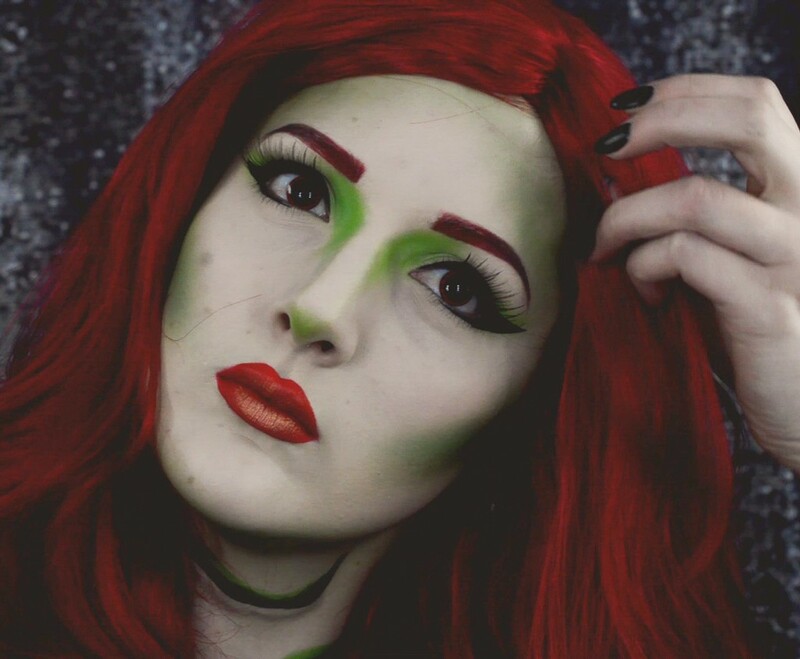 While the Joker is probably the Batman’s most evenly matched male counterpart, there’s only one villain who was truly able to manipulate the Bat in a way no other has: Poison Ivy. The green-thumbed ecoterrorist cares more for vegetation than she does humanity and will stop at nothing to protect it. Her extreme knowledge of poisons and toxins from plants allow her to overpower and outsmart her opposition, including the great Bruce Wayne. Pamela Isley may have been introduced to Detective Comics to become a potential love interest of Batman’s, but over her 50-year history she’s grown into a powerful enemy who’s given Batman plenty of trouble and become the best friend and an ally of the infamous Harley Quinn. Her relationship with Harley has evolved into one of the best partnerships in superhero-supervillain history and just adds to the list of reasons that Poison Ivy is not a character to trifle with. 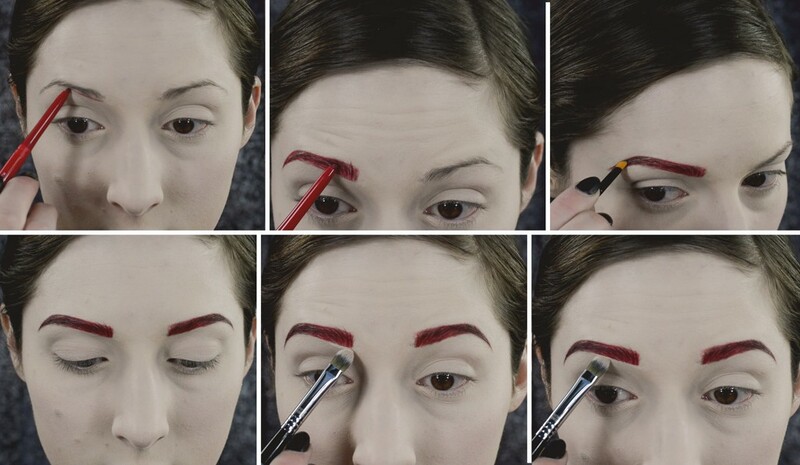 Start by outlining an arched brow in red and filling it in. Blend a charcoal shadow on the outer third of the brow to give it an ombré look. 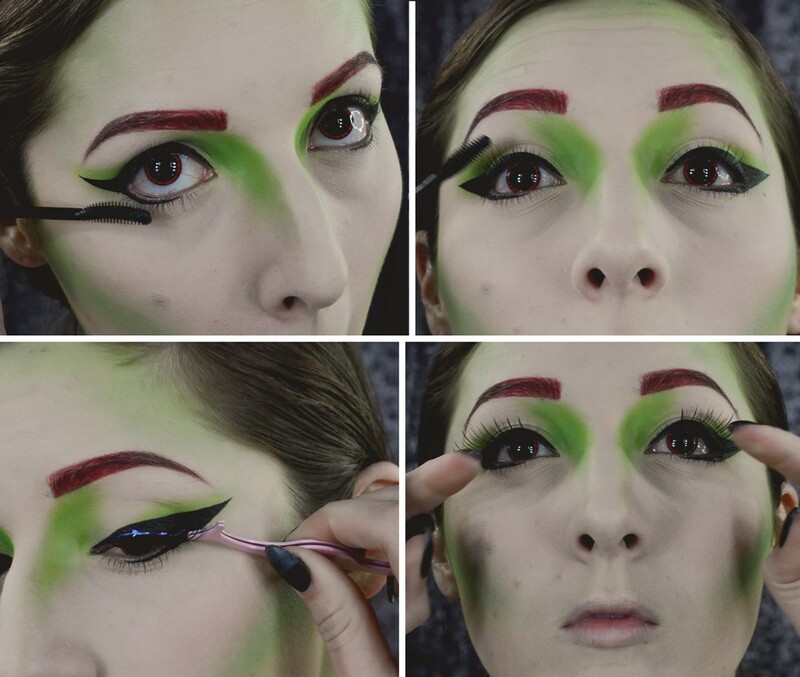 Apply a bright green shadow to the outer corner of the upper lids and wing it out. 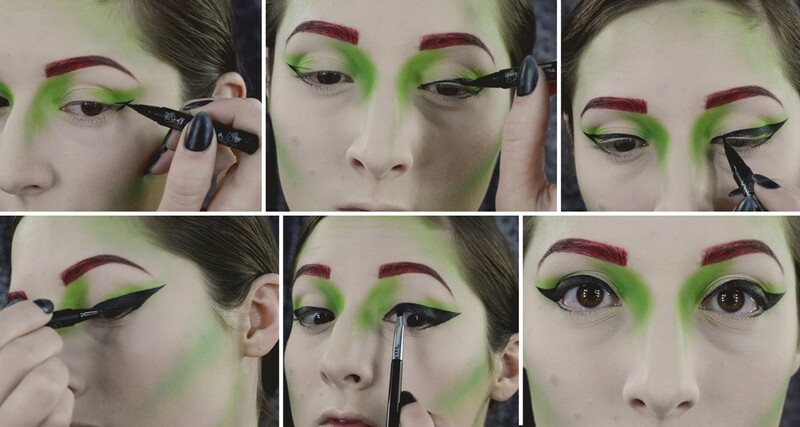 Also, apply this bright green onto the inner corners of the upper lid blending the pigment onto the sides of the nose. Subtly drag the shadow halfway down the side of the nose. Start adding contour around the face with a dark green shadow- along the cheekbones, temples, hairline and below the jawline. 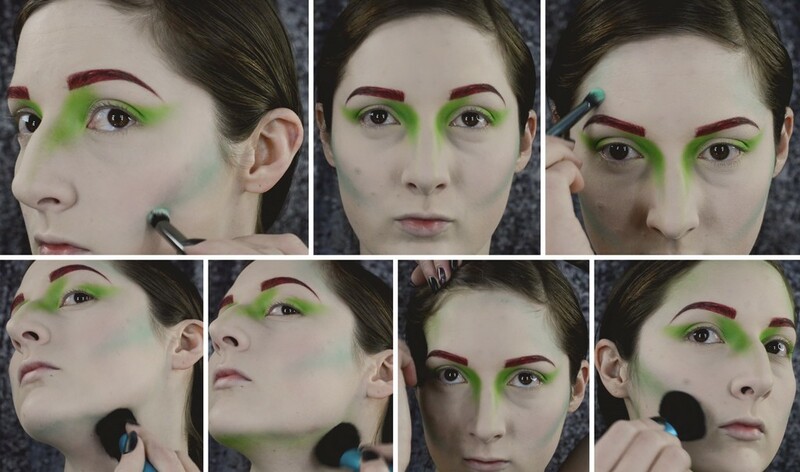 Go back over all of the contouring with the bright green shadow to add more depth. Use the same contouring along the collar bones. Add a dramatic wing with bold black liner. Make sure you tightline so there are no bare spots. Apply a liberal amount of mascara to the upper and lower lashes. Glue on a set of false lashes. 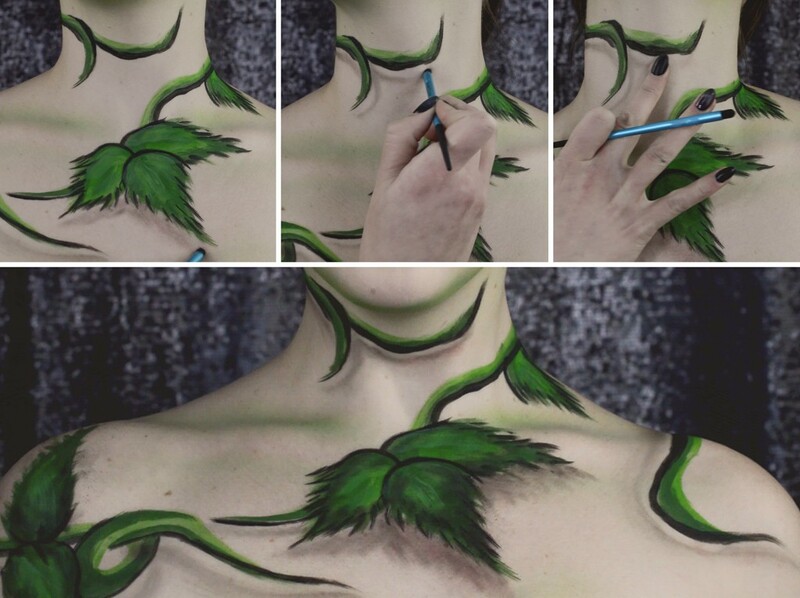 Begin adding the vines to the neck and chest area starting with a bright green. 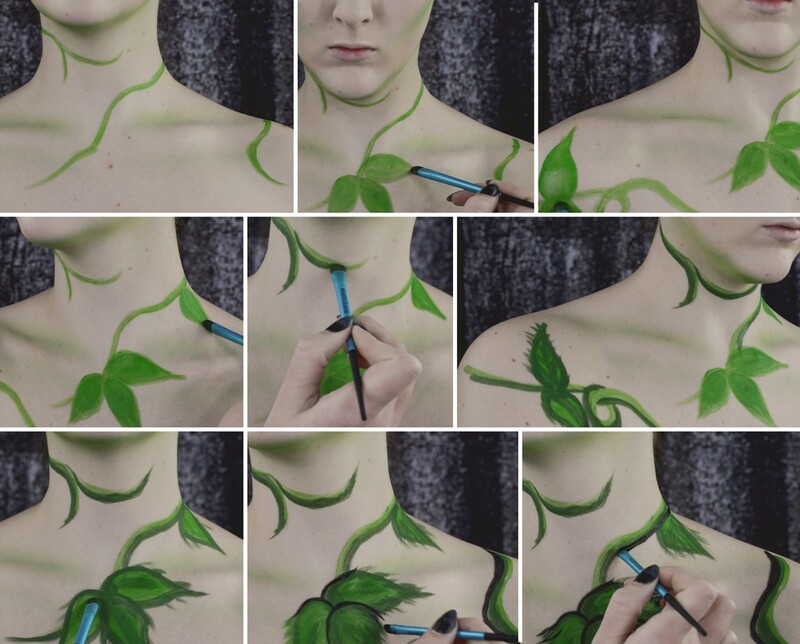 Add shading and details with a darker green. Imagine a singular light source and add all the shading on one side of your design. Finish the vines with a thin black shadow edge. 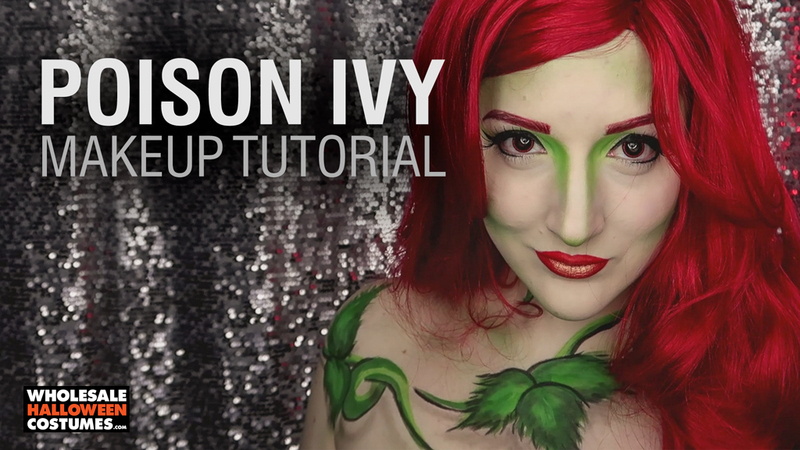 Add a drop shadow below all of the vines and leaves with a light touch and a fluffy shadow brush. Use a fingertip to help smudge the lines and eliminate any hard edges. Use the dark shadow to enhance the contouring below your cheekbones and below your jawline. 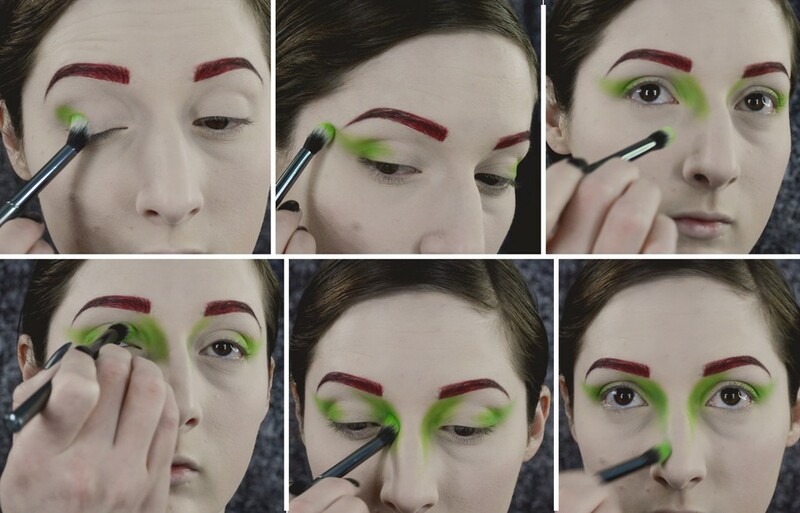 Apply a touch of the bright green eyeshadow to the tip to your nose. Paint on a fiery red, pouty lip. Use a fingertip and gold powder to apply a small shimmer to that pout. Pop on a long, red wig and style to your liking. Now that you’ve transformed yourself into a villainous vixen, please be lenient with us! 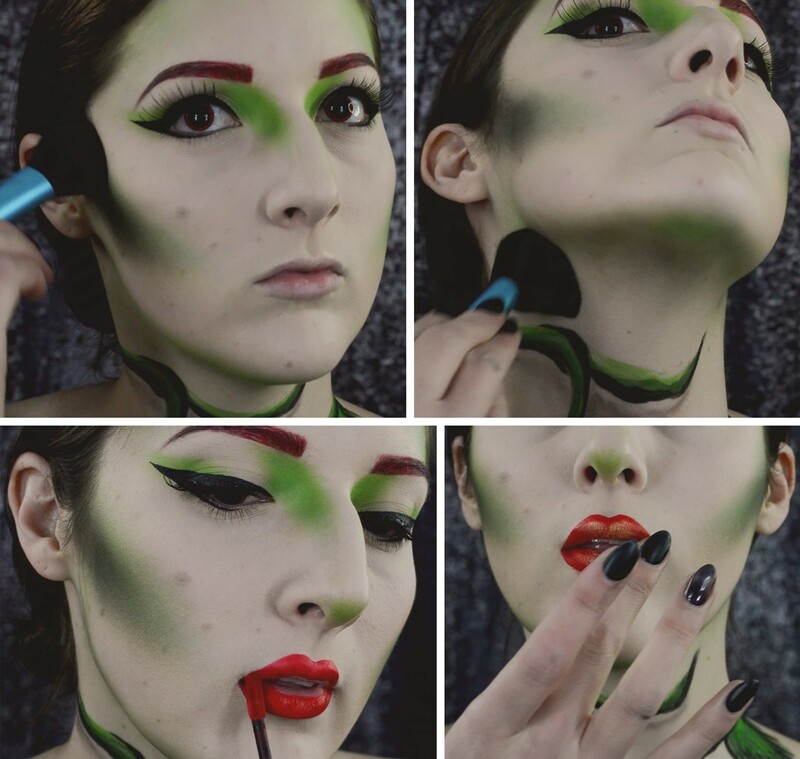 Share pics of your best villain makeup using #WHCdoesSFX on Facebook, Twitter, and Instagram!